Tom guest stars in the role of the Unsub, Marcus Younger, in this episode of the hit CBS series. Yes, we did say "the role" and not "the roles" of those three guys. Unsub stands for "Unknown Subject," so as the episode unfolds you will discover that Tom's character, Marcus Younger, is the bad guy in the show. The unidentifiable man in the mask, in the shadows, and leading the victims around is Tom. You will see and hear him throughout the episode, but in only two scenes will you see his face (sans mask, etc.). Younger is a disturbing character who kidnaps three girls and places them in a bomb shelter/cellar below his house. The character was conceived of by the writer, Andrew Wilder, by taking bits and pieces from three actual cases. Unfortunately, abductions of this type happen far too frequently. Mr. Wilder's twisted genius, and the unsettling nature of this fictional story, is that the goal of, and purpose for, the abductions not be sexual in nature. It's a twist that will chill you to the bone. The director of the episode was Matt Earl Beesley. Matt is truly an "actor's director" and was instrumental in helping Tom find the character. Tom's scenes were filmed during five days from September 15th - 26th. The episode is entitled "North Mammon" and is episode number 207. Tom is on the DVD release of the Dawn of the Dead. The movie is a 2004 remake of the hit movie from the late 70's. Tom plays the role of the White House Press Secretary in the Special Features Section on the DVD. In the Special Features Menu look for "SPECIAL REPORT: We Interrupt This Program!" The movie was released to theaters on March 19, 2004. The DVD was released on October 26, 2004. Tom is back on the show, and once again he will be speaking with a German accent. It's a different character this time, as the previous character died in a nasty car crash in Austria. He will appear on two episodes in the role of Didier Lamarque. The show regulars appearing in his scenes will be Billie Reed (Julie Pinson) & Bo Brady (Peter Reckell). If we tell ya anymore...we'd have to kill ya. Just know that it's gonna be a fun one. Tom taped the episodes on December 14 and 15. The episodes are numbers 9975 and 9976. Tom will played the role an Austrian limo driver. It was a little like "Driving Miss Daisy" with Chloe Lane (Nadia Bjorlin). It is very unlikely that Tom will play this character again on the show. Why? He was not the best of drivers, and died in a crash! Tom taped the episode on July 26. The episode number is 9876. Tom plays the role of Dr. Oakley, a therapist for Lynette Scavo (Felicity Huffman) and Kayla Scavo (Rachel G. Fox). Tom's scene was filmed on April 2nd, 2008. The episode is entitled "Opening Doors" and is episode number 414. Tom plays the role of an ER Doctor in a scene with Courtney Cox, Ian Hart, and Saundra McClain. ER Doc? Oh boy...what happened? Who's hurt? Tell ya...gotta kill ya. You know the routine. Tune in to find out. Tom's scenes were filmed on October 4, 2007. The episode is entitled "Welcome To Normal"" and is episode number 201. Tom plays the role of a New York Times Travel Section reporter in this new multi-camera comedy pilot for FOX. It is set in a new and very trendy hotel in New York City. The Times is going to list "The Inn" as one of the top ten places to stay in the city. Well, all is not well during Tom's visit and the employees at the hotel struggle to keep all of the shenanigans from his view. "Do Not Disturb" was written and created by Arrested Development's Abraham Higginbotham. The pilot episode was directed by Jason Bateman. The pilot starred Niecy Nash, Jerry O'Connell, Jesse Tyler Ferguson, Molly Stanton, Jolene Purdy, Brando Eaton, and Robert Wagner. The pilot was reshot in August. One of the changes was replacing Robert Wagner'scharacter with Jon Polito. Tom's scenes were with Mr. Wagner and the actor change resulted in a significant reduction in Tom's presence during this episode. There is a possibility that Tom's character will return on this show later during the season. The show's title, "Do Not Disturb," is constidered a working title and may change prior to airing. The pilot was taped before a live studio audience on April 23rd, 2008. Tom played the role of Aarvid Gisselsen in the world premiere of a national award-winning musical comedy about the inhabitants of a small bar whose lives are turned upside down by a fast-talking karaoke salesman. It's Fargo meets The Music Man! The show was a hit and was extended five times since opening in December 2003. Tom joined the cast on February 13th. He was in the show for a total of 24 performances. Tom sang on the cast album. Buy it today on Amazon or iTunes! Ya gotta listen to tracks 3, 10, 13, 15, and 16 if ya know what I mean, don't ya know. heck out the show's web site. Two hours of fun and farce! Oh fer sittin' on the cat, it's a dern good night out at the local bar. A loopy valentine to his home turf in snow-ravaged Minnesota. I want to hug everyone involved in this delightful musical!! I highly recommend this play to all ages and 1 promise that you will laugh your hearts out. Tom played the role of Charlie Everson / Mick Richards in this heart-wrenching musical. After nearly losing his life during a mugging, Charlie awakes in a hospital room with no memory of his past. Named "Mick Richards" by the hospital nurses, he spends over a decade trying to find out who he was and where he came from. Fate and luck line up to a dramatic reuniting with his daughter, Emily. "The low-key charm of Tom Schmid as an idealized dad works well with both Haun's punky starlet and Darcy Rose Byrnes." "Leads Lindsay Haun and Tom Schmid give vocal performances that are really great - heartfelt with clarity and confidence"
"[Haun] and Schmid do the numbers justice. The two of them, along with the perky and precocious Byrnes, are also very talented performers." "Schmid triumphs as the loving father Charlie ... The cast, especially Haun and Schmid, played it with such passion it was difficult not to feel either their pain or elation"
"Schmid is a likable and persuasive Charlie." Tom played the of Whizzer in this musical with a Tony Award winning score. The production was in Minneapolis, MN. Tom played the role of Perchik in this classic musical at the historic Fitzgerald Theater in St, Paul MN. More details to come. Tom plays the role of Dr. Nordac, a state institution psychiatrist. Struggling to deal with his own daughter's dementia, he takes solice in trying to help other patients, while leaving his daughter's wellbeing to other doctors. Soon, his own sanity is tested. Within the cold, sterile walls of a mental hospital, the friendship of two young patients blossoms, as a doctor’s grip on reality begins to collapse. Not bound by conventional mentality, Lucas and Grace have discovered their own colorful world of magnificent possibilities. This is in stark contrast to their closed-minded psychiatrist, Dr. Nordac. Though in her past, Grace has suffered an abusive relationship with her father, she remains child like, clinging to hope and acceptance of what may still be good in her world. Lucas is a Zen-like individual, who speaks softly, and often, in parables. Little is known of his days before he was a wandering street magician, only that he held tightly to the belief that his magic was real. Dr. Nordac presents himself with great stoicism, yet under the surface he is concealing a troublesome secret of his own. He becomes increasingly concerned with the influence that Lucas’s “magic” has on Grace and the other patients. Cautioning the young magician only deepens their divergence, as even the doctor’s hold on reality begins to slip, and he soon discovers, that truth lies not in what we see, but in that which we believe. The film opens with a quote from Emily Dickinson, which conjures an interesting perspective of the world’s take on madness. The ending is a magical finale that employs fantasy to examine one man’s dark reality. Tom will be back on GH. This time he plays a German Airport Security Agent who boards Nikolas and Emily's private jet and asks a few questions. He's in two scenes during the first 1/2 hour of the show. The episode will be taped on December 15th. The episode number is 11215. This is Tom's second appearance on ABC's daytime drama, General Hospital. This time he will be playing the role of Martin Roth, Rachel's attorney. He will appear in two scenes set in his law office. Lotsa suspense, so tune in! The episode was taped on March 9, 23rd. The episode number is 10758. 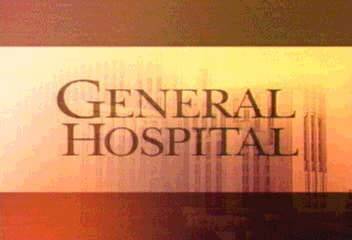 The air date of the episode will be on General Hospital's 42nd Anniversary! This is Tom's first appearance on ABC's daytime drama, General Hospital. Tom played the role of Dr. Frederick Andres. The good doctor is an Oncologist from Montreal. He was "flown in" to help Emily with her rare form of cancer. The episode was taped on July, 23rd. The episode number is 10340. Tom played the role of Mr. Covitt, the girl's calculus teacher at Chilton Preparatory in Stars Hollow. Unless edited otherwise, Mr Covitt's class is the setting for the first scene of this episode. Don't tune in late. Please check your local listings for the broadcast time and day for the show. The episode number is 310. The original title of the episode was "Moving On and Moving In", however, it has been changed to "That'll Do, Pig". Tom's scene was shot on Monday, November 4th. Here's a little inside scoop. The role of "Mr./Mrs." 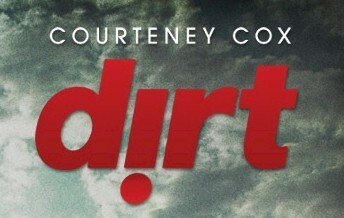 Covitt was written for either a male or female actor. In fact, the script actually listed "Mrs. Covitt" as the character in the scene. As a result, the show's prop department printed the cover for the class course materials with "Mrs." Covitt's name on the front of the binder! Tom played the lead role of Adam in a musical about the oldest debate in mankind's history; the debate between science and creation. The musical ran for a limited engagement at the Lamb's Theatre in New York City at 130 West 44th Street. Shows started at 8 p.m. Thursday - Saturday, and at 2 p.m. on Sundays. Call 1-800-829-2631 for tickets. "[T]here are a few bright spots . . . Schmid has a nice voice . . . and a pleasant stage presence." "Yet there are some moments that sparkle . . . [s]everal cast members have fine voices . . . Tom Schmid . . ."
"NATO should intervene. Right now . . . crimes against humanity are being committed. Apart from the audience, the victims are 11 spirited but obviously desperate actors." "Step right up, ladies and gentlemen. If you want to see bad—and we do mean bad—theater, you're in luck. Written "under a Divine Breath" by Christian crusader extraordinaire Mona Johnian, this musical revue on creationism versus evolution is anything but a great debate." "The Worst In Theater, 1999"
Time Out New York, December 30, 1999 - January 6, 2000. Tom made his cabaret debut in his solo show, Had It Only Begun…, with musical direction and staging by Fred Tessler. Had It Only Begun… explores the theme of a small town boy searching for love in the big city. It offers standards, show tunes and seldom-heard original pieces. Songs include "It Would Have Been Wonderful," "Better Off Without a Wife," "The People That You Never Get To Love," "Proud Lady" (from The Baker’s Wife) and selections from Annie Get Your Gun. Don't Tell Mama is located in the very heart of the theater district, and on Restaurant Row. Treat yourself to dinner at one of the great restaurant in the area, and then go to Tom's show. There is a $10 cover and a two drink minimum per guest. Non-alcoholic drinks are available. Cash only please. Reservations are highly recommended and can be made at 212-757-0788. More information can be found on the Press Release for the show. "One instantly falls in love with Tom Schmid whenever he sings or acts ... his forte (thus far) is his impeccable ability to weave reality and lyric into a seamless fabric of love-sense." "Schmid has the talent to become a cabaret star." -- Click here to read the review! "Tom Schmid sings as good as he looks...and that's saying a lot. He's drop-dead handsome and has a glorious voice that could fill a Broadway stage." -- Click here to read the review! Jan Wallman for Applause! Applause! "He also made silk and sighs out of two William Finn songs, "What More Can I Say" and the magnificent "Sailing." You could say he has an af-Finn-ity." This was Cabrillo Music Theatre's way of giving one back to our service men, woman, and their families. Tom sang in a free show for our troops at the Port Hueneme Naval Base. Other performers donating their time and talents at the event were: Farley Cadena, Barbara Cooper, Veronica Dunne, Jason Evans, Dion Mial, Jeff Parsons, Kelli Provart, Ron Rosen (as Santa Claus), Cassie Silva, Shannon Warne, Alison Woods. Tom returned again in 2012 for this annual show. The title of this year's concert was Believe.